Great Pyrenees dogs come from Spain and France. These dogs were bred to guard flocks within sharp mountains. When they grow up, they get as big as 80-120 pounds and their average lifespan is 10-12 years. They are known to be rather obedient, as well as very loving. 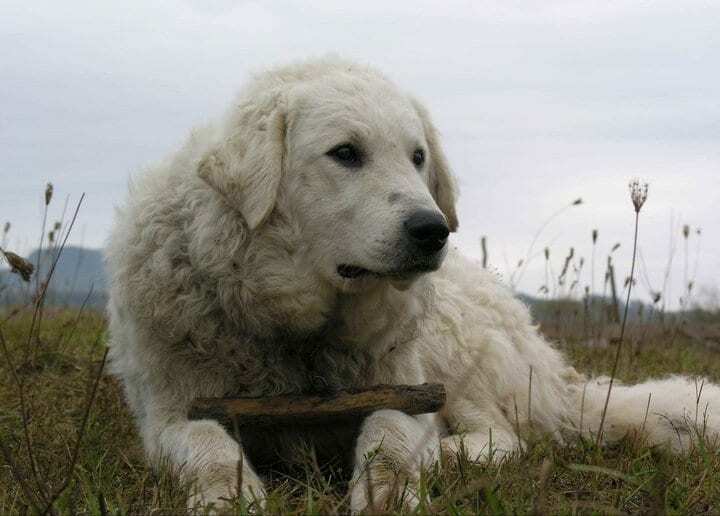 Great Pyrenees were bred in cold weather and their thick layer of white fur matches it. Due to all of their fur, they require a lot of brushing and grooming, especially in hot weather. The Akita hunting dog originates from the mountains of the northern regions of Japan. These dogs are very large, weighing usually around 70-130 pounds. Their average lifespan is 11-15 years. 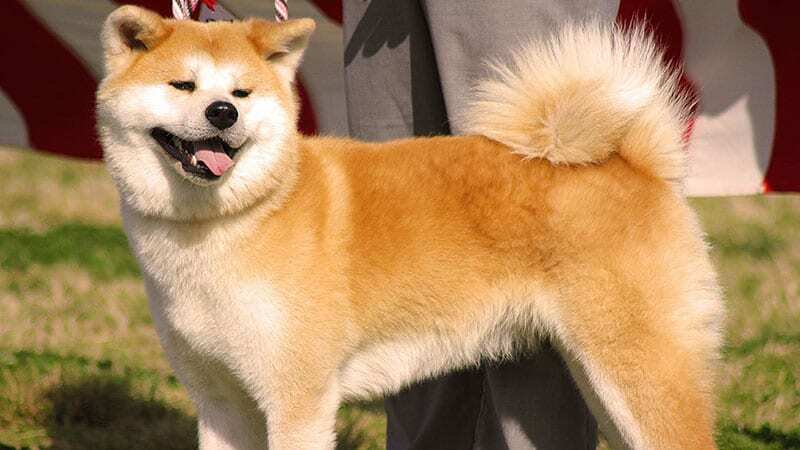 The Akita breed is known to be alert and receptive. They are also known to be very friendly and faithful, despite the fact that they can look quite intimidating and proud. They have a thick coat of fur due to the cold climate they were bred in. 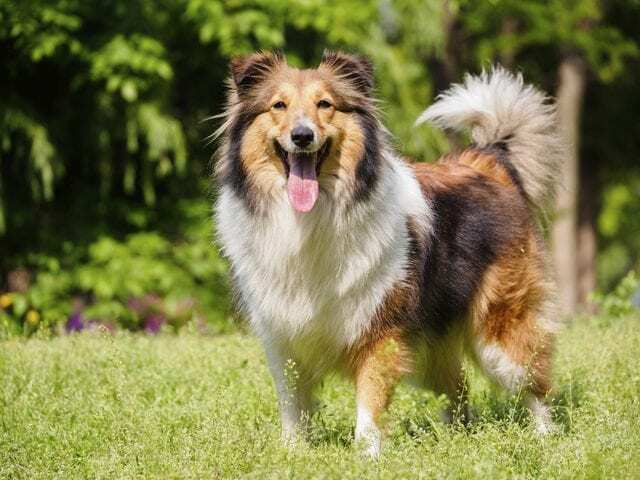 The Sheltie breed is a Scottish herding dog who is also known as the Shetland Sheepdog. They are a small to medium sized breed, and weigh only around 14-27 pounds. They usually live for only 12-13 years, even though they are a rather small breed. This breed is very loyal, as well as highly intelligent and easily trainable. They are long haired with a silky and smooth coat of fur, making them the perfect snuggle buddies. The Kuvasz is a beautiful breed from Hungary. They were originally used to guard flocks of birds. Their fluffy white coat of fur makes them appear larger than they actually are. They generally weigh 77 to 110 pounds and do not live very long, usually around 10-12 years. Nonetheless, they will always bring you joy with their funny personality and will always protect you. You will need to brush them a lot, as this breed is known to shed a lot. 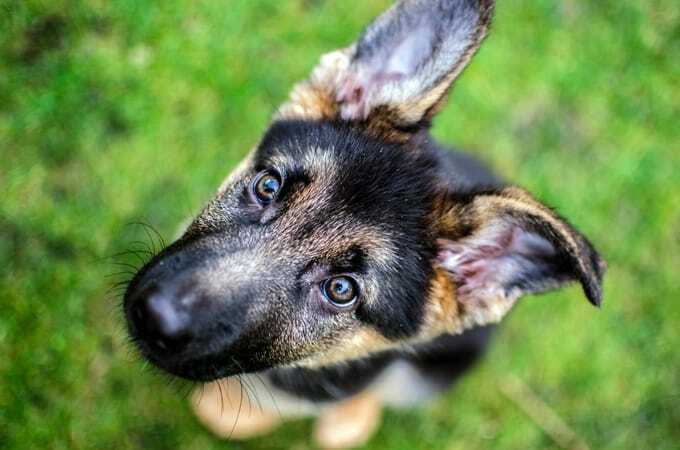 The German Shepherd is as you would assume, a German breed. 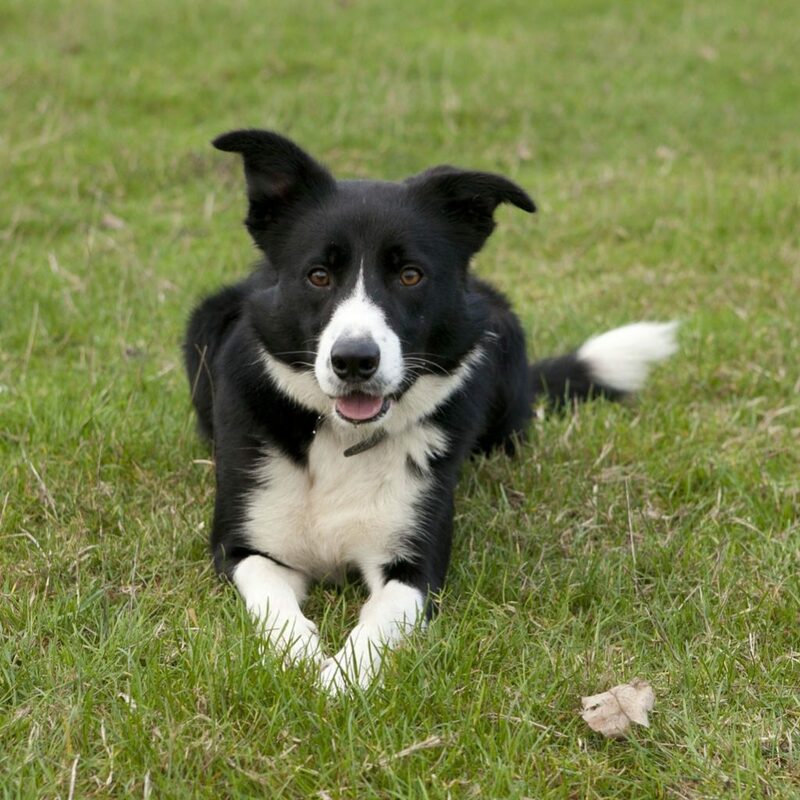 In Britain, they were once known as the Alstain, and they are originally a herding dog. They are very large, generally weighing 49-88 pounds. Their usual lifespan is 9-13 years. This breed is extremely loyal and intelligent that the military and police, in fact, use them as their go-to dogs to help them solve crimes. They are long haired and shed, therefore require grooming. 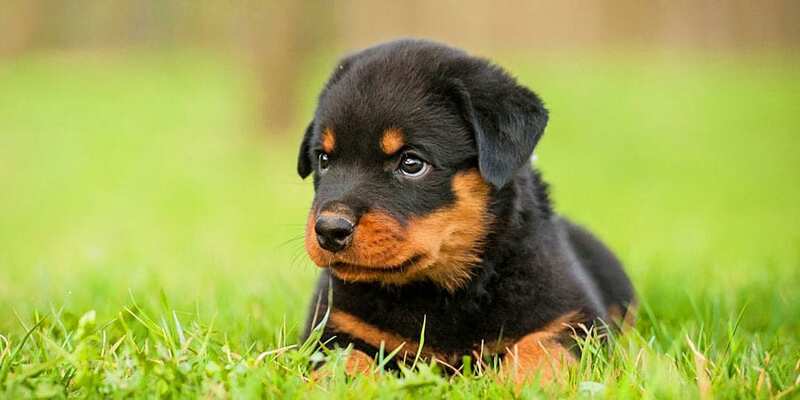 The Rottweiler breed is a herding dog from Germany. They originally drove the herds that fed the army. They are a large breed and weigh 77-130 pounds usually. They have a short lifespan of 8-10 years, one of the shortest lifespans of all dog breeds. They often serve as guard dogs due to their scary look. However they are very devoted and obedient creatures. They have black with tan short hair and do not need a lot of grooming. 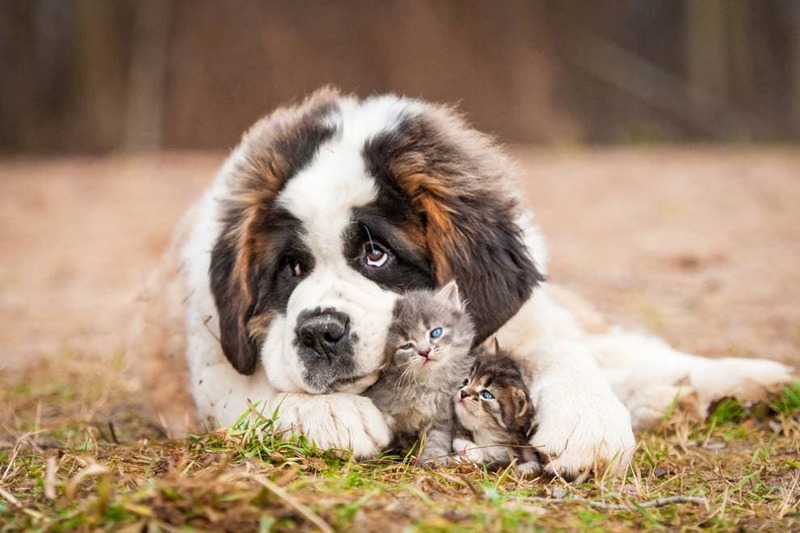 The St. Bernard breed is originally from the Swiss Alps. They were originally used to rescue hikers which is what makes them so loyal. They are massive, weighing up to 260 pounds., and they also have a super thick layer of fur. 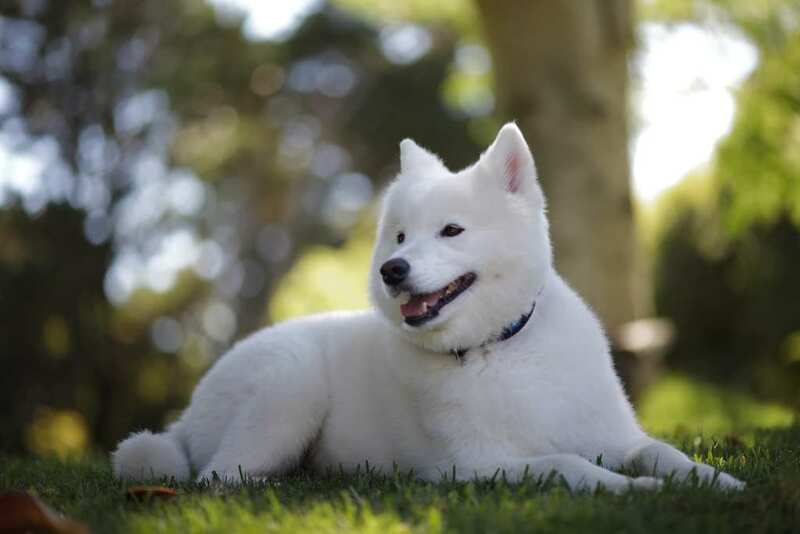 This breed usually lives for only 8-10 years and they have a calm and protective temperament. They tend to shed as well as drool a lot, so if you’re a clean freak this breed might not be right for you. 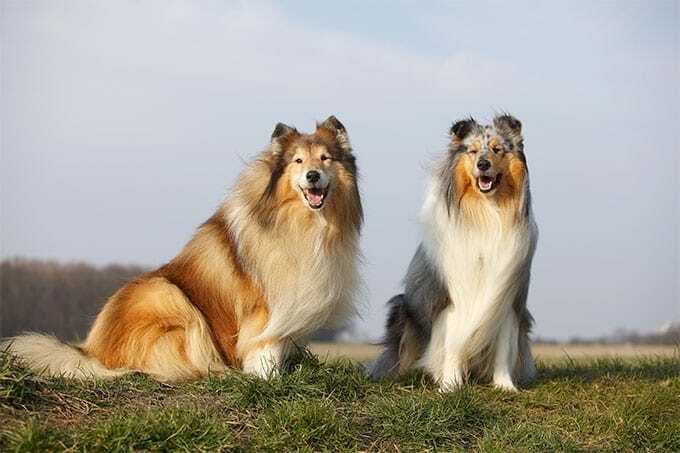 The Rough Collie, also known as the Long-Haired Collie is a medium to large size herding breed. They are originally from Scotland and usually are shades of sable, merles or tri-colored. They can grow to be quite large, usually around 40-65 pounds. They are a healthy breed and have an average lifespan of 14-16 years, which is more than most dog breeds. Rough Collie’s are known to be gentle and highly active. And they are one of the most loyal breeds out there. 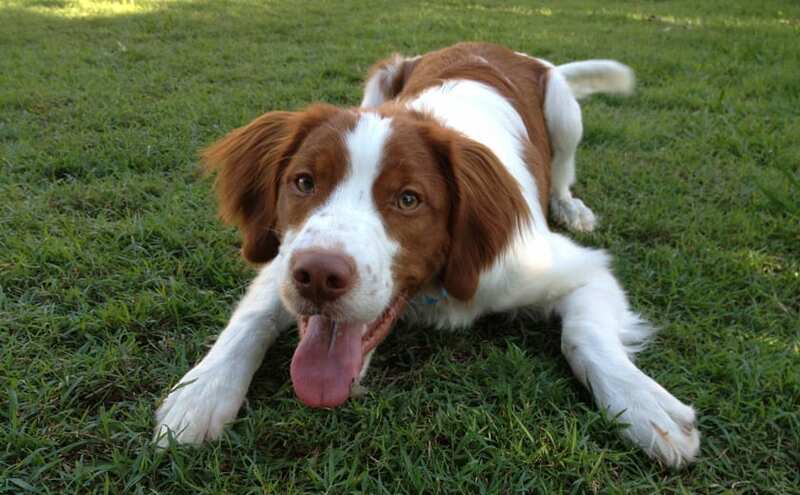 The Brittany breed of dogs comes from French descent. They were originally a bird hunting breed. They are a highly attentive breed, as well as athletic. They and can live rather long, up to 15 years. They weigh only 30-40 pounds which is neither considered small nor large for a dog. They are just right. They are most happy when they can around, so perhaps if you too are a runner then Brittany may just be your match. The American Staffordshire Terrier, also known as simply the Stafford or Amstaff is an American breed that is part of the pit bull family. They were originally bred for fighting other dogs and are a medium-sized short-coated breed. They are a strong breed and weigh usually 62 to 88 pounds. They are commonly forceful, however very loyal and friendly dogs as well. They have short hair and generally have a lifespan of 10 to 12 years. 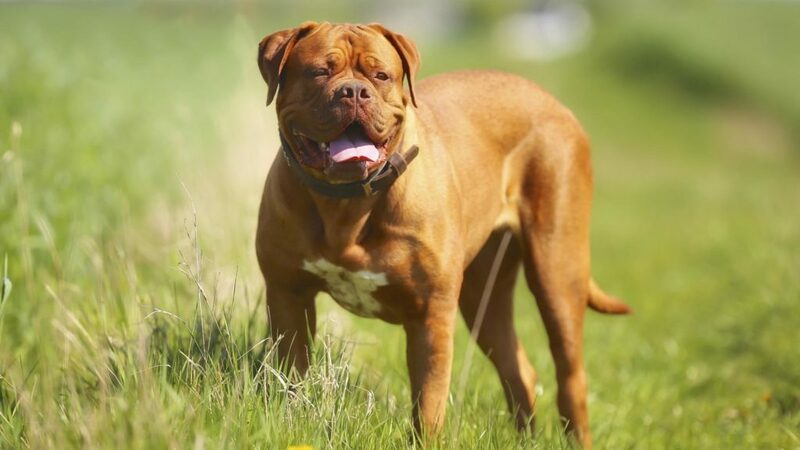 The mastiff breed is a massive English dog, however should not be confused with the mastiff type which includes the bulldog breeds, the Great Dane and the mountain dogs. They were originally a ferocious war dog, however today they are calm and loving creatures. 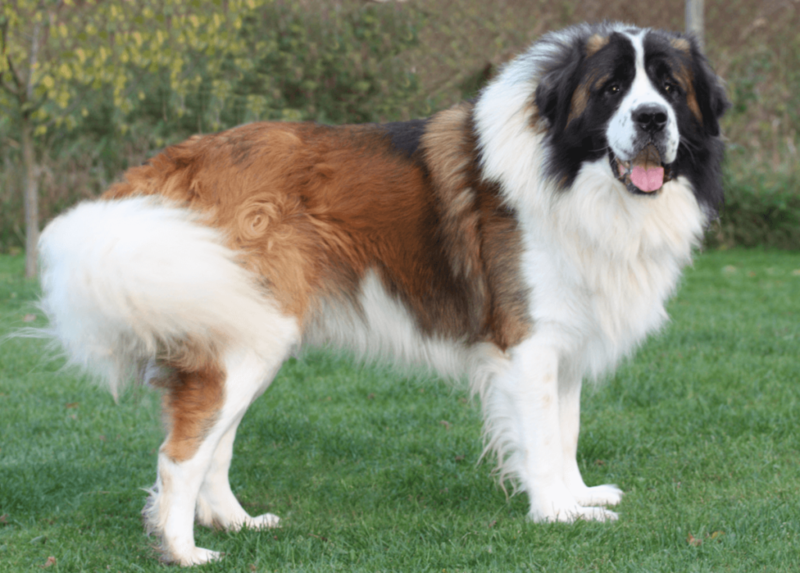 They are one of the largest breeds of dogs and can weigh as much as 120 to 230 pounds. Due to their large size, they have a short lifespan of only 10-12 years. 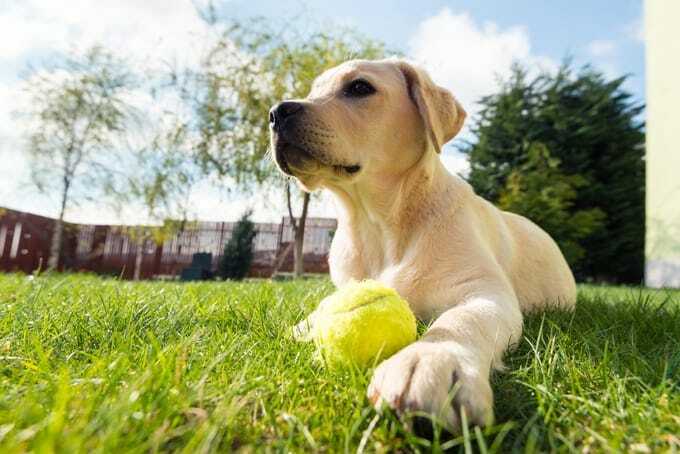 The Labrador Retriever is a hunting dog and is originally bred in Canada. They are one of the most loyal and affectionate breeds, and are known to be very outgoing and friendly. They are medium to large size, weighing 55 to 79 pounds once they fully grown. They have a normal lifespan of 12-13 years generally. They are the disability assistance breed of choice in many countries and are of little surprise due to their incredible cuteness, the most popular overall breed of dogs in the United Kingdom and the United States. 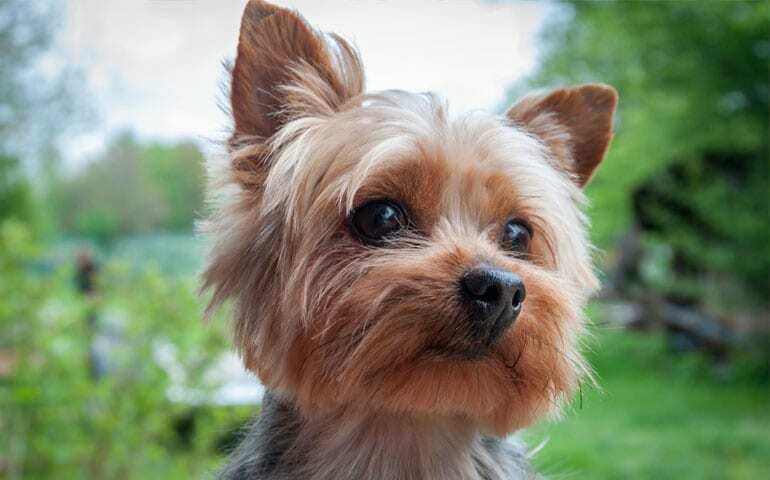 The Yorkshire Terrier, with the nickname Yorkie, is a breed from Yorkshire, England who were originally used to catch rats in clothing mills. 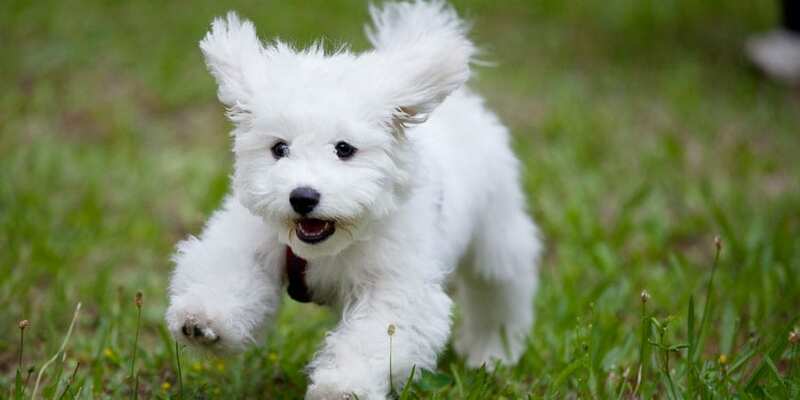 They are among the smallest breeds of dogs, ranging from 12 to 15 pounds. Due to their small size they have a long lifespan, usually living 13-16 years. They are known to be bold as well as independent, especially for such a small sized breed. They have a grey, black and tan coat and will fall in love with you just as much you do with them. 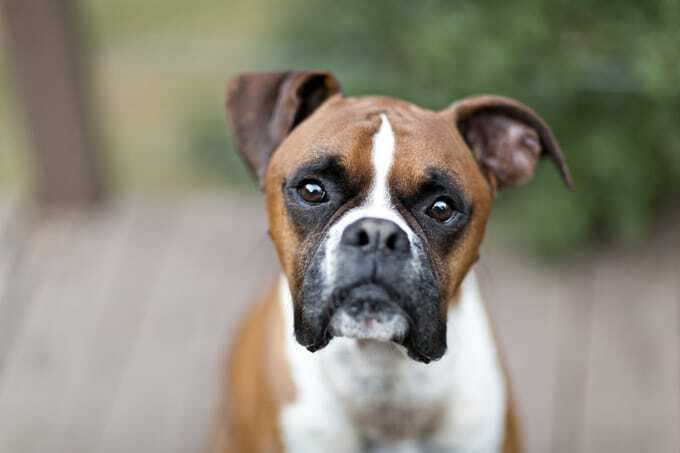 The Boxer dog has a unique history. They originally served as butcher helpers, by herding cattle in slaughterhouses in Germany. They were also once used for bull baiting. 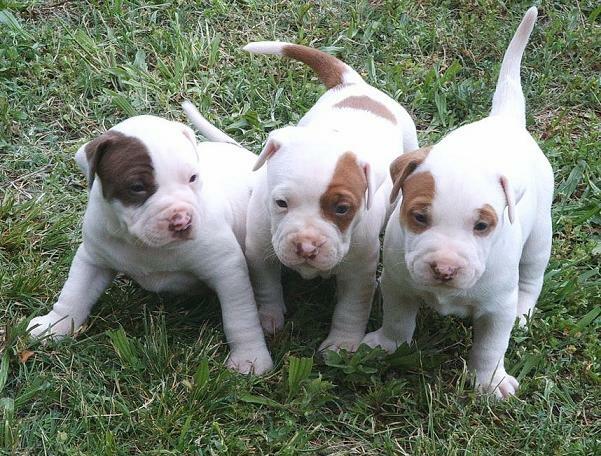 They are a breed which is short haired and medium sized, growing to be 44 to 71 pounds. Their coat is smooth and tight with fawn or brindled colors. They are very playful and will always manage to cheer you up. They are rather low maintenance and make for a wonderful loyal family dog. 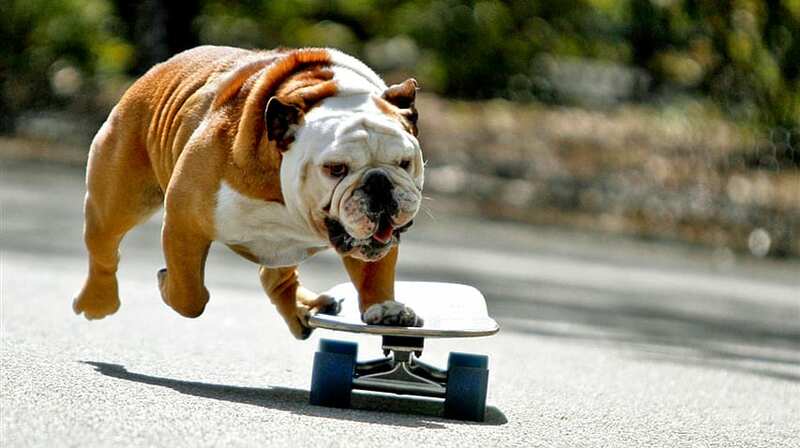 The Bulldog is an English dog, sometimes referred to at the English Bulldog or the British Bulldog, and was originally used for bringing down prey as well fighting bulls. That are rather small, weighing only 49-55 pounds, however they are very sturdy. They have an extremely loving and caring personality, and therefore are wonderful companions and family dogs. They also make great friends with other animals. Do take note however that they do need to exercise daily. 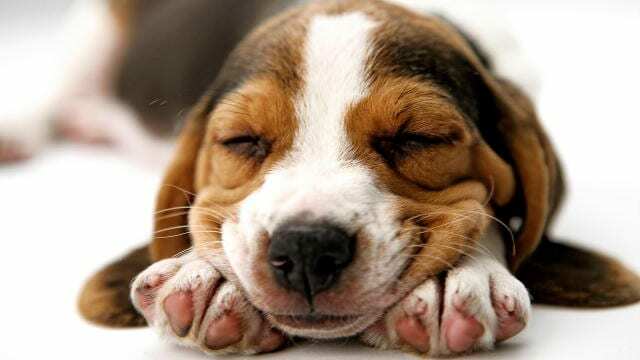 The Beagle is another very loyal breed that originates from the United Kingdom. They were a scent hound breed that was used in order to hunt down smaller game. Their average lifespan is 12 to 15 years. They are a small to medium size breed dog and usually weigh 20-24 pounds. Generally, they are a very happy breed as well as an intelligent one. They make howling sounds as opposed to the standard barking. Their super cuteness will make your heart melt. 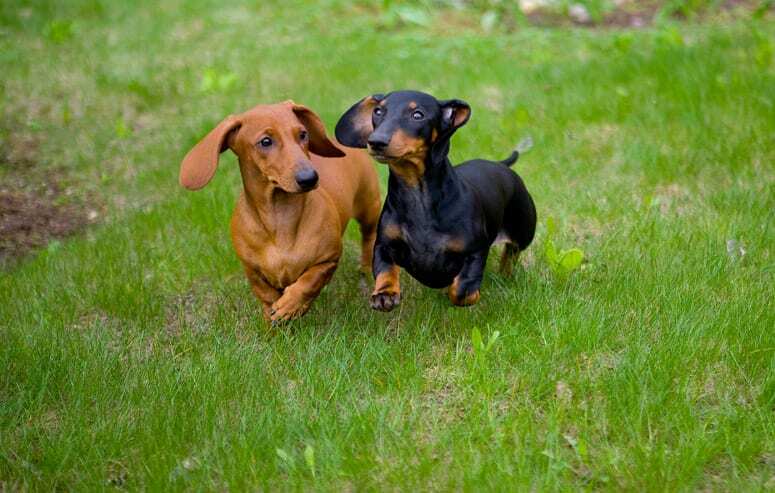 The Dachshund dog is a scent-hound breed, originally from Germany. The breed used to track small animals as they were developed specially to scent, chase and push out badgers. They are a hound-type dog breed, with a long body, with short legs as well as short hair. They usually live a long life of 13-17 years and weigh 16-33 pounds normally. Their personality is very playful, however they can also be rather stubborn as well. The Schnauzer breed is originally from Germany where it served as a herding and ratting dog in the 15th and 16th centuries. It is very small, weighing only 12-20 pounds. However regardless of it’s size, it is extremely alert and smart. They are also a very obedient breed and although they are terrier-type dog they do not have the standard terrier personality. Their average lifespan in 12 to 15 years and they are a little bundle of joy. The Samoyed-Husky is a hunting dog bred in Siberia and it gets its name from the Samoyedic peoples. They are a very strong willed breed, as well as very friendly and highly devoted. They have a thick, double-layer coat of white fur which makes them appear to be very large, but they usually weigh 50 to 60 pounds. They are a healthy breed and are known to be energetic, and make for a loyal and loving friend. 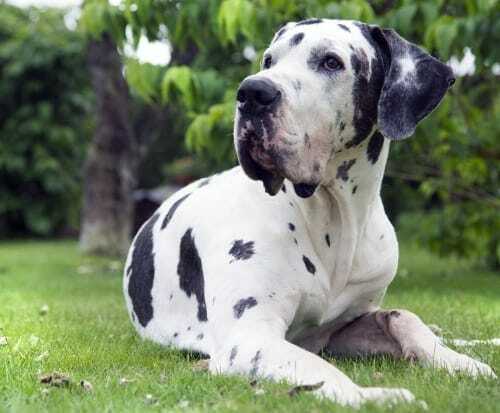 The Great Dane is another German breed. They were bred to hunt wild boars. They have a very short lifespan of only 6-8 years due to its huge size. 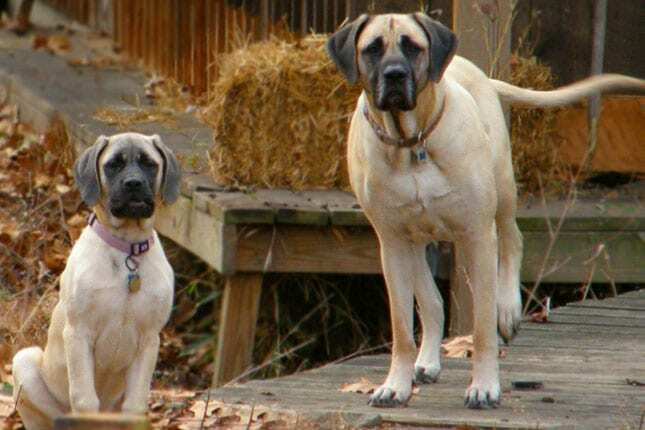 They are very tall and are in fact one of the tallest dog breeds, and they grow to be 99-200 pounds. The famous cartoon dog Scooby-Doo is a replication of a Great Dane, and therefore you can know that they are very loving and gentle creatures. 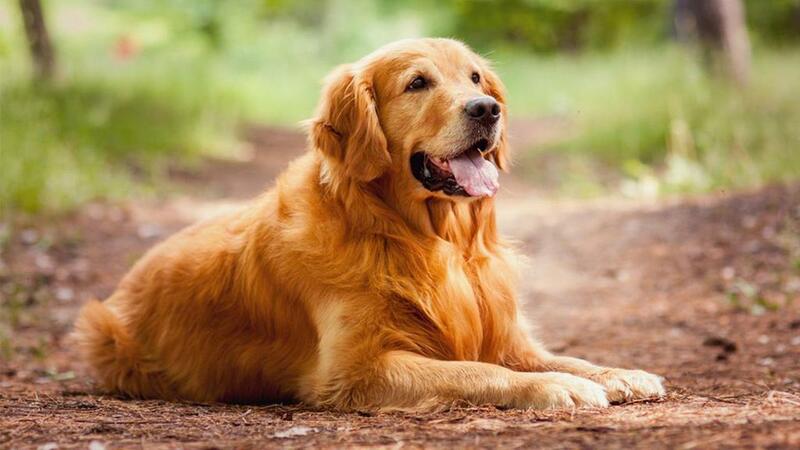 The Golden Retriever is an English bred hunting dog. It was originally developed to retrieve game. They are rather large breed, weighing 55-75 pounds. They are incredibly kind as well as reliable. They are ideal for families with children. Since they are larger, their average lifespan is around 10-12 years. They are a long haired breed, and require regular brushing, as well as regular exercise, but are well worth investing time and love into them. 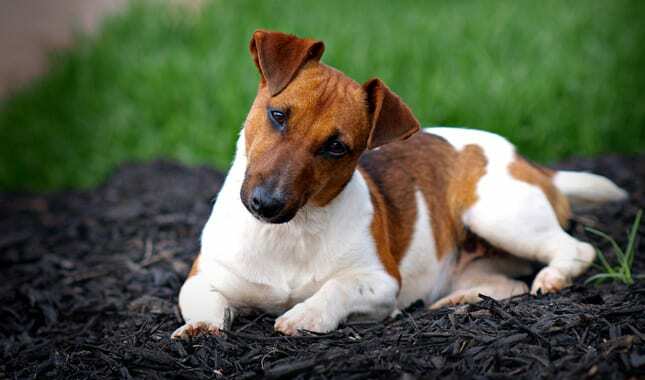 The Jack Russell Terrier dates back to almost 200 years ago, and comes from England as you could have probably assumed. They are also known as the Parson Russell Terrier. They are originally a fox hunting breed and are known to be a fearless and vocal breed. They live for about 16 years on average and they are very small, growing to be only 14-18 pounds. They are mainly white and are smooth, rough or broken-coated, however they can be found in any color. 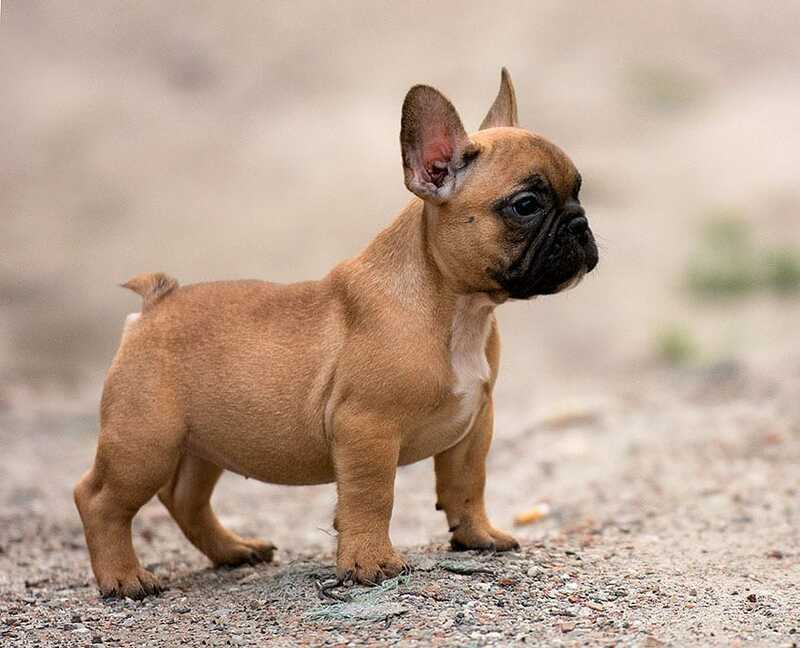 The French bulldog is a mix of the England bulldogs with the French ratting dogs. They are quite small and weigh only around 16 to 28 pounds usually. They are highly alert, as well as very affectionate and open minded creatures. Their average lifespan is approximately 10-12 years old. They are a short haired breed and come in various colors and types. Their cutest feature is their ears, which stick straight up. A friend with a good ear is always one to look for. 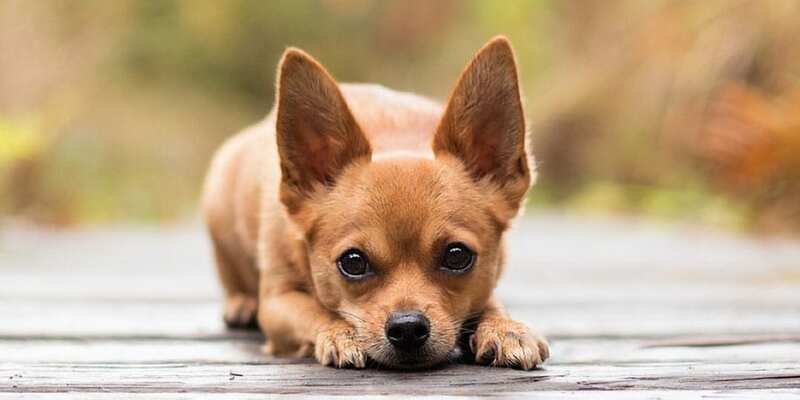 The Chihuahua breed is from Mexico, however there is a possibility that they actually originated from the Toltecs. In the past, the Aztecs would eat dogs. However nowadays, dogs are no longer considered food and make for a wonderful and loving friend. They are known to be very quick and highly devoted. They are one of the longest living breeds, usually living from 10-18 years. They are so tiny and adorable as they weigh a mere 4 to 6 pounds. 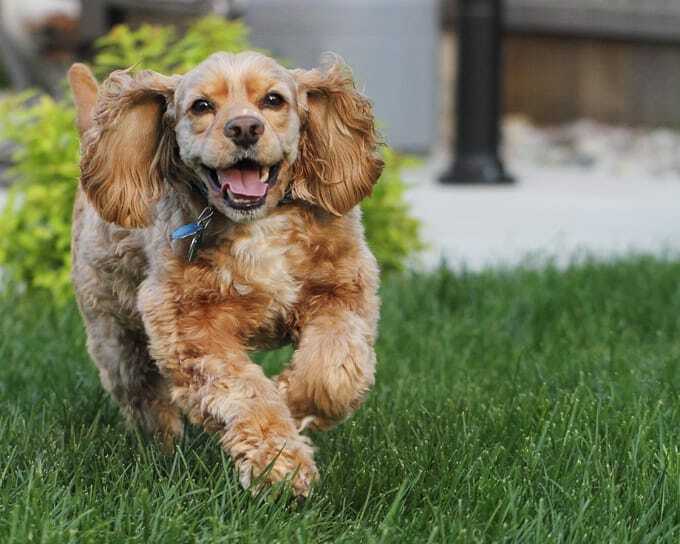 The Cocker Spaniel is an American gun dog breed. This breed of dogs originally served as field hunters in England. Cocker Spaniels usually has a lifespan of 12 to 15 years old. Their size is small to medium, as they weigh on average 24 to 28 pounds They are compactly built, and are highly playful, active creatures. They are quieter compared to other breeds and are known to be good-natured. They will make for a loyal partner. 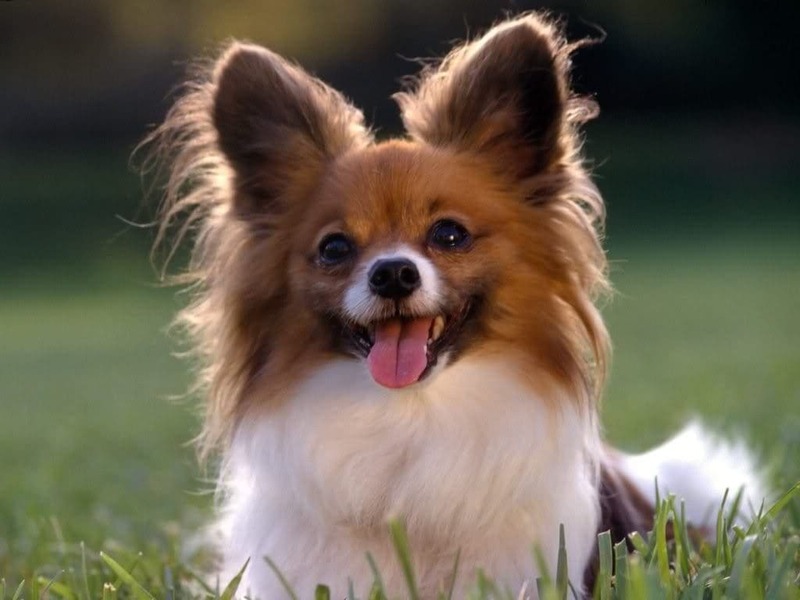 The Papillon breed is a French breed that originally served as a companion dog for royalty. These dogs. They are extremely small, weighing only approximately 4-9 pounds and they have an average lifespan of 12-18 years old. They are known to be highly obedient and can be very successful in competitions. They are also known to have a lot of energy be very happy and hearty creatures. Having a Papillion will ensure that you always have a loyal friend to play with. 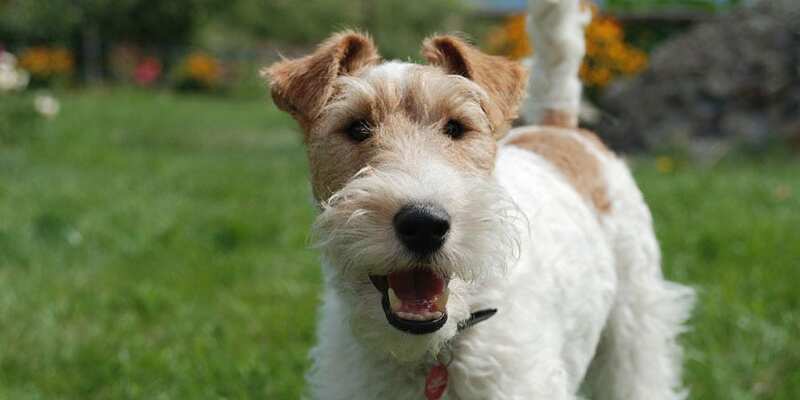 The Fox Terrier is an English hunting dog. However this specific breed is slightly different, as they had been used to get foxes out of homes. Similar to most terriers, they are rather small and weigh only around 12 to 15 pounds. Due to their small size they have an average lifespan of 10-15 years. They are very smart creatures as well as lively. You can always count on them to cheer you up. 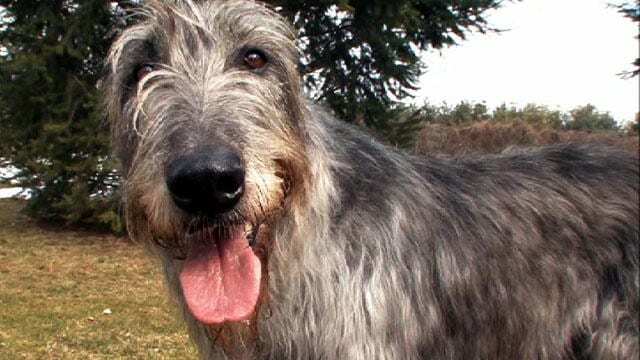 The Irish Wolfhound breed originally comes from South Ireland and are sighthound dogs. They are considered to be a dignified breed as well as extremely loyal. They are a large breed, growing up to 115 to 180 pounds, and therefore will only live for an average of 6 to 10 years. 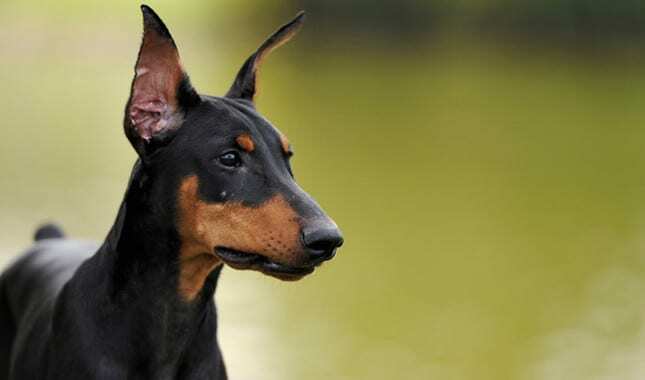 The Doberman Pinscher breed, which is sometimes simply known as Dobermann, or Doberman, originated in Germany by a tax collector named Karl Louis Doberman in 1890. 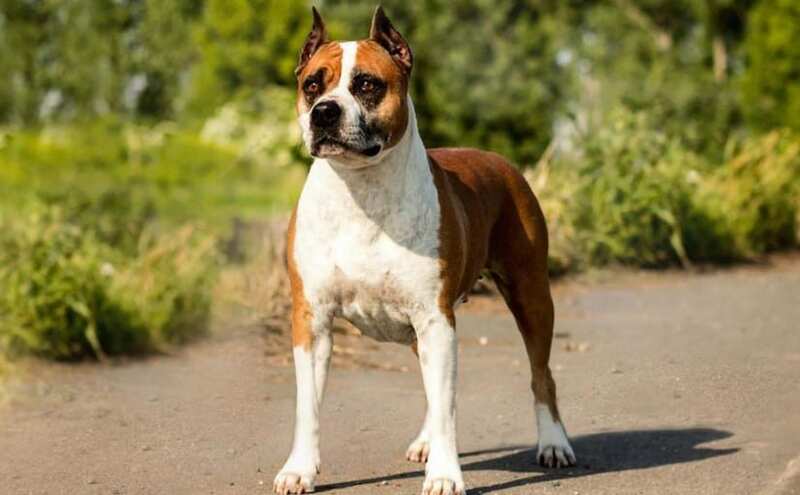 This guy bred them into guard dogs, and even today their intimidating personality is still dominant, and have a very strong bite with such a long muzzle. They are medium to large sized, weighing about 60 to 100 pounds. Other than being pretty intimidating, they are a very obedient and loyal breed. 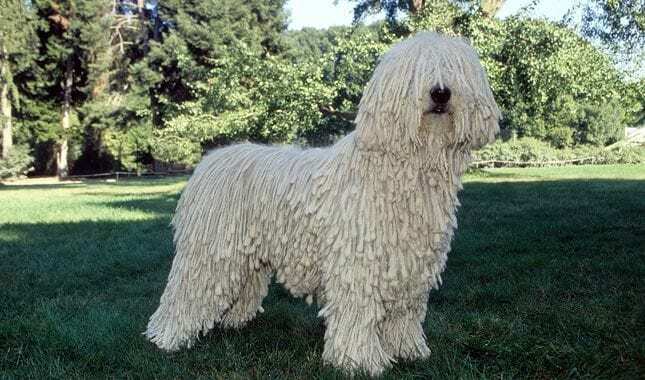 The Komondor breed is also referred to as the Hungarian sheepdog or the mop dogs. This breed was initially bred in order to guard flocks in Hungary and is considered one of the country’s national treasures. They in fact sort of look like sheep. They are white and they are massive, weighing 110 to 130 pounds. They are one of the most loyal breeds of dogs, and are very affectionate as well as highly independent. 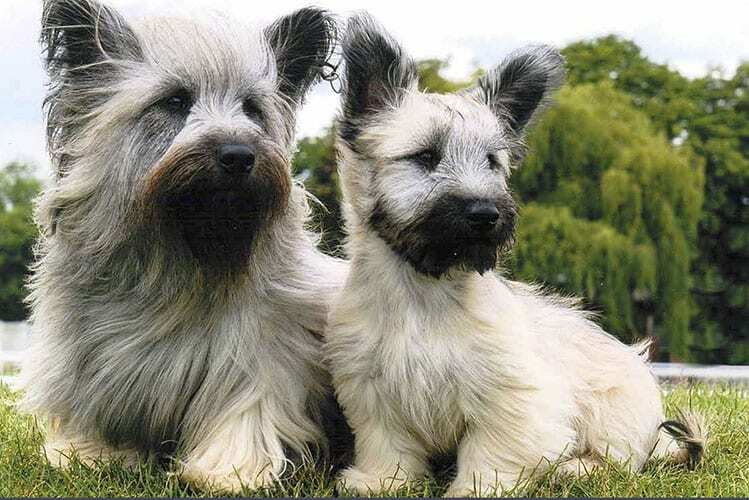 The Skye Terrier breed of dogs are very elegant and adorable creatures. They are also an extremely determined and courageous breed. The serve as watchdogs and are wary of anyone that may appear to be a predator. The most famous dog of this breed is Greyfriars Bobby, who protected his master’s grave for 14 years up until he died. He was even buried next to his beloved master and there is a statue of him at a drinking fountain in the cemetery. Now that is loyalty. 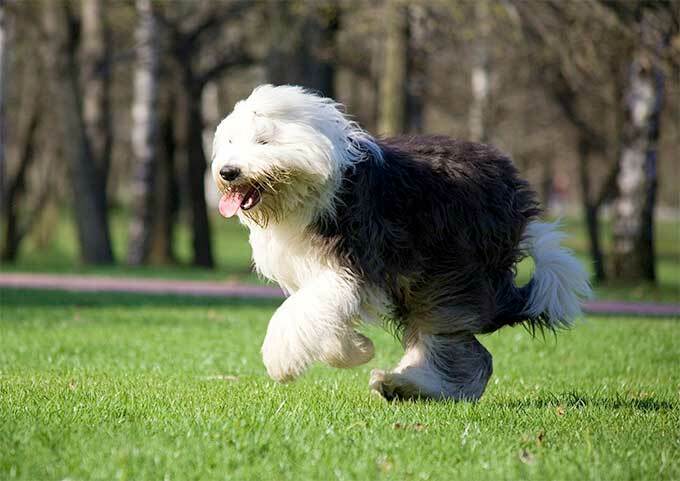 The Old English Sheepdog is a big dog who is also known to be athletic. 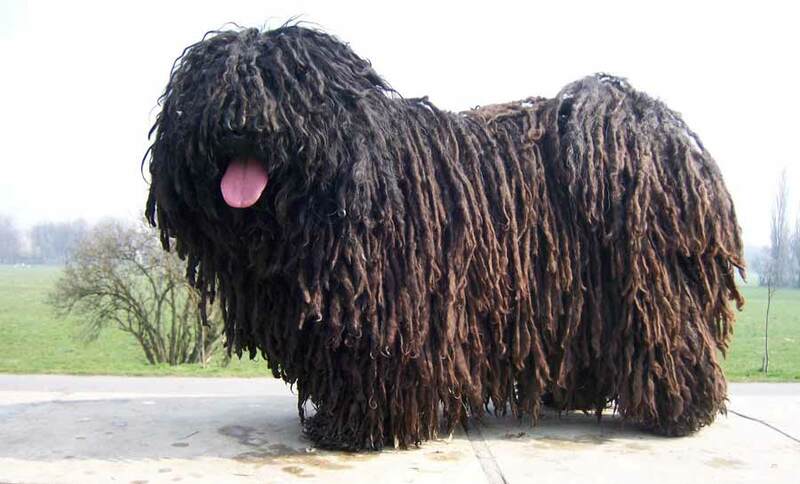 This breed of dog also has a very unique shaggy coat, and was originally a driver and helped farmers drive sheep and cattle to the market. However, today they are home pets. They are good-natured and obedient, agile, conformant, intelligent and highly adaptable. They will surely serve as loyal friends to their masters. 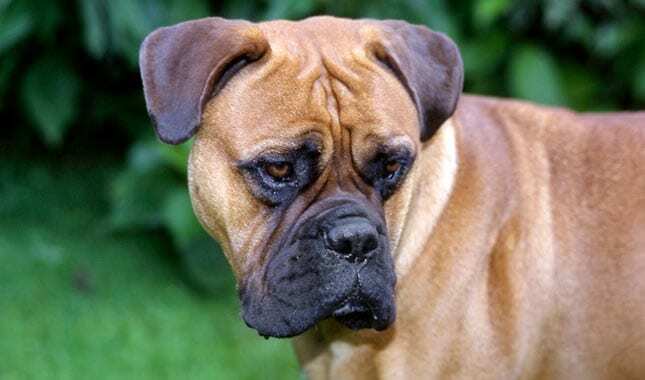 The Bullmastiff breed of dogs is best known for being loyal creatures. They are also known for their incredible courage, strength and hunter instincts. Despite being a very large dog, they have very low amounts of energy and view themselves as the protector of the family. If they are trained enough, however, they will treat you as the head. They prefer to stay indoors and do not require a lot exercise. 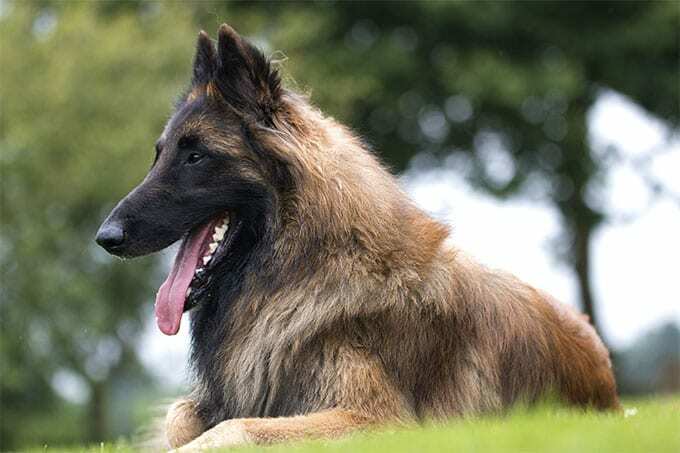 Pulis are a very interesting breed of dogs, especially so because of their unique hair-coat. They are mostly always alert and bark like crazy if they sense anything wrong. They adore their master’s company and are most loved due to their intelligence and loyalty. They can be rather stubborn and are not always capable of being trained at home. They do not enjoy doing activities over and over and should be taken outdoors often. This breed is also difficult to groom, however, they are so worth all the work. 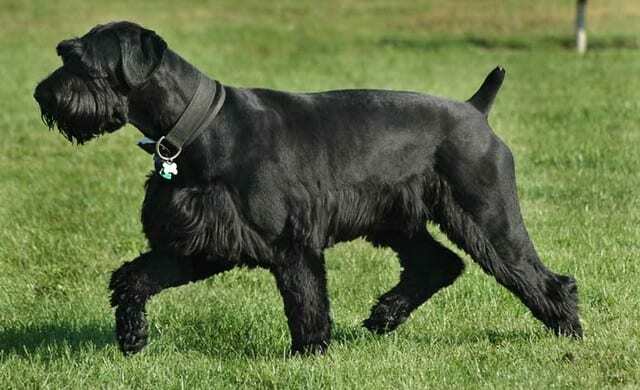 The Giant Schnauzer breed of dogs requires a lot of training and can be a challenge. Without the right guidance, they can very aggressive and stubborn. They look for attention and require getting to know their master very well. In order for them to really thrive, they need a large and open space. They are incredibly brave however, and make for wonderful and loyal guard dogs, again, with the right amount of training. 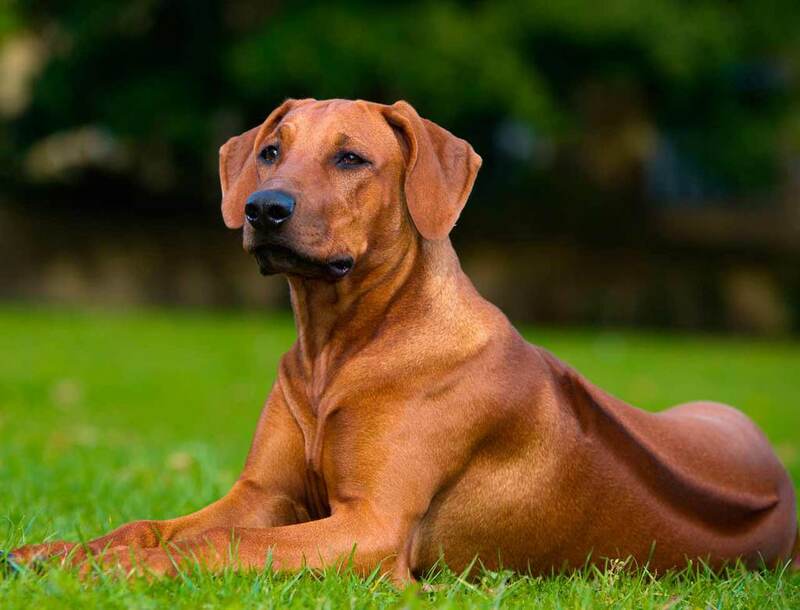 The Rhodesian Ridgeback is a stunning breed of dogs. They can be rather hard to train, especially after an older age and therefore they must be trained starting right away. They are very adaptable creatures and are able to stay home alone, but they do require a lot of exercise. They are a rare breed who do not bark so often, but they will bark in order to protect you. Mostly, though, they are gentle, calm and loving. The Cane Corso Italiano is an easy to train breed, with a protective nature and primitive instincts. It bonds closely with its family members, especially with children, and more affectionate then you’d realize at first glance. They’re the perfect guard dogs and their loyalty is accompanied with complex intelligence. 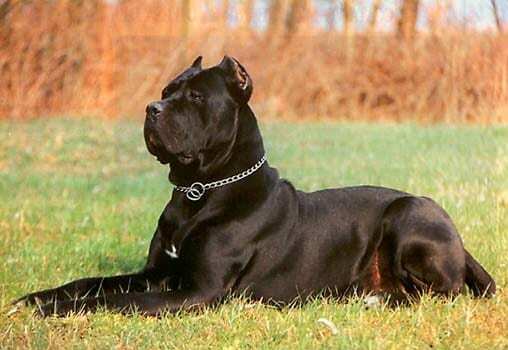 Originally bred in Southern Italy, the Cane Corso is all about guarding the ones he loves, as well as his territory. 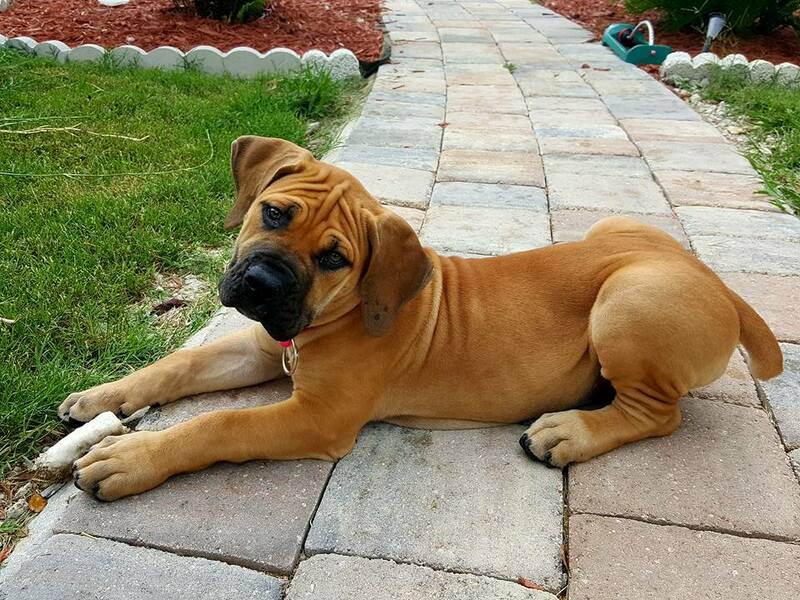 The Boerboel needs to be trained effectively and properly in order to tame its aggressive nature around strangers but once you teach him the difference between right and wrong, he’ll recognize you as his most pesonal confidante and favorite owner. 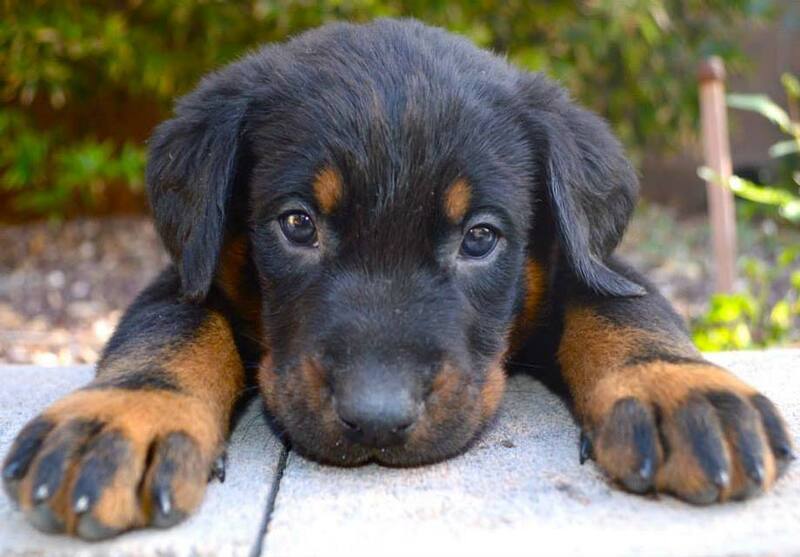 This particular breed may be semi-large in stature, however, it’s his confidence and fearless attitude that makes him so protective and standby. 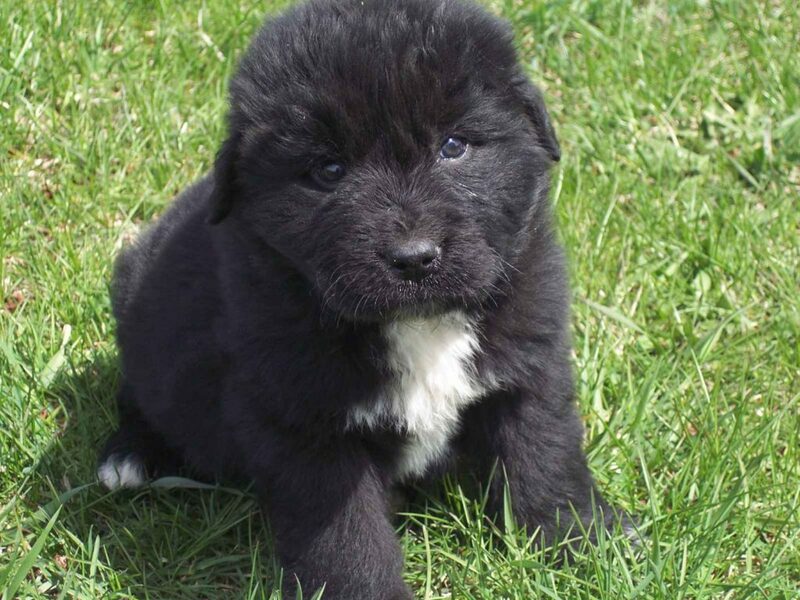 The Newfoundland is one of the most loyal dog breeds on the planet and therefore, they’re the one to bring home if you have children. This specific breed isn’t meant to act as a guard dog and he isn’t too particularly hung up on territory or boundaries, but he would sacrifice his own safety (even his life) to defend or spare yours. Newfoundlands are amazing swimmers and have powerful lungs, making them the perfect swimming buddy when a lifeguard isn’t around. Caucasian Shepards are just as strong as they fluffy and they’re not afraid to get their paws dirty for their owners. This dog’s loyalty lies strictly with you and takes a fair while to trust a stranger or someone new you bring into your home. 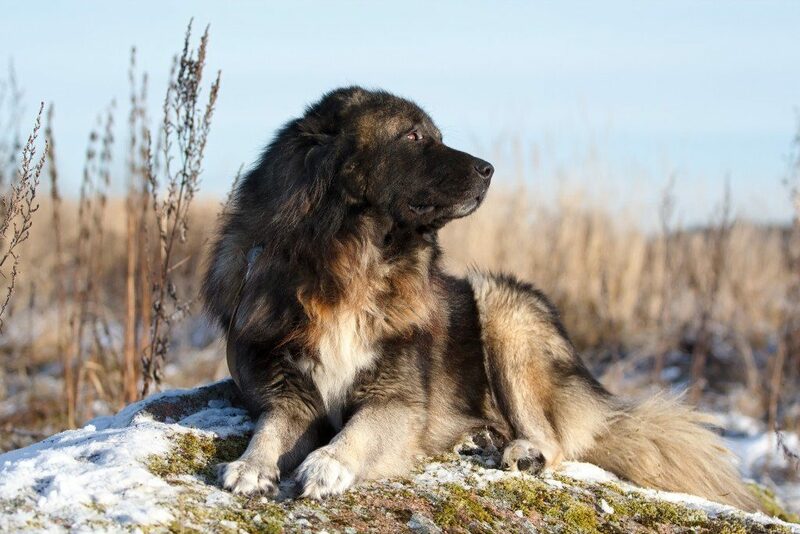 The Caucasian Shepard, like the Boerboel, is quite aggressive and needs to be trained the right way. Sure, this might be an intimidating breed but if you own one, they’ll be nothing but sweet and loving to you. 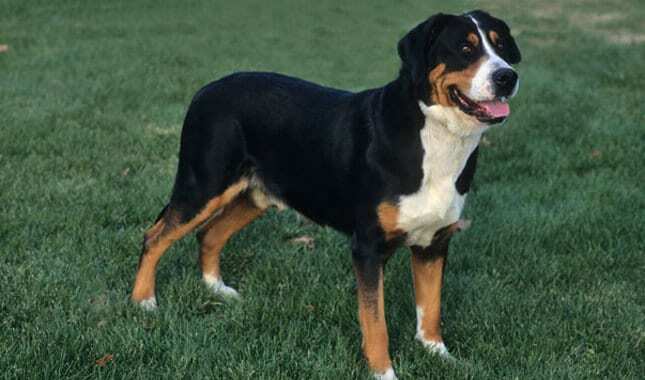 Affectionately known as the “The Swissy,” the Greater Swiss Mountain Dog was originally bred in the Alps and was raised with a strong, pack instinct. The Swissy will recognize you as the leader of his pack and will prove to be overprotective of those that are smaller and younger than him. He’s the perfect outside breed, as well. This is the type of dog you should bring home if you’re in need a hiking and camping companion. 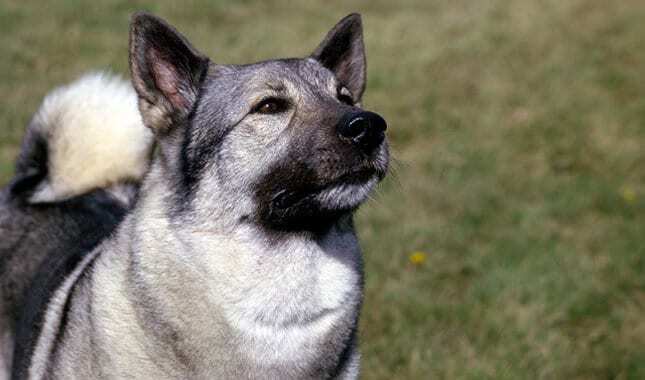 The Norwegian Elkhound is a line of legacy, born and bred in Norway since the 11th Century. This breed’s moral compass is more developed than most and it has a heart that’s as tough as its physical build. 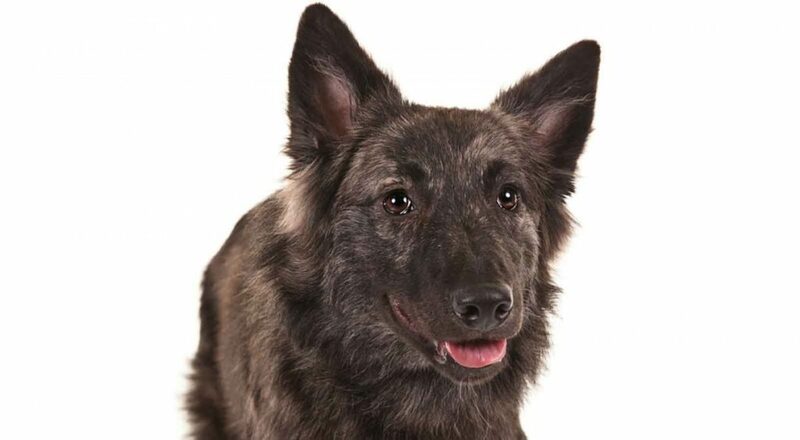 The Norwegian Elkhound is best suited for an active, energectic family with people-skills. American Pit Bull Terriers have a bad reputation in some areas of the world and regardless of whether or not you agree with the rumors, they’re still undeniably loyal to their owners. They’re affectionate and go to great lengths to please their family members. As long as you don’t train your Pit Bull to fight, like many irresponsible people tend to do, then you’ll see the other side of the breed that people adore so much. The Moscow Watchdog is closely related to the St. Bernard but alas, it’s far more clumsy than its klutzy counterbreed. The Moscow Watchdog is true to his name; he cares deeply for his owners and has an instinctual need to stand by his family. He has a gentle spirit and can be quite cautious when it’s necessary. The Watchdog’s personality is a crystal-cut combination of his St. Bernard and Caucasian Shepherd ancestors. Beaucerons are over-achievers and like to be put to work. They have a strong desire to utilize their natural hunting and herding skills, providing for the household in both a material way and an emotional one. The Beauceron is a breed that makes a great messenger, which would explain their part in World War ll, used by the French Army. With their pointy ears and kind eyes, still, to some, the Dutch Shepards may look scary at first sight. However, their loyal and reliable temperament proves that these dogs are the furthest thing from scary. With just a little bit of work, and based on their Shepard’s dog roots, these brindled creatures will be obedient, independent and discipline and just a plain good old companion. 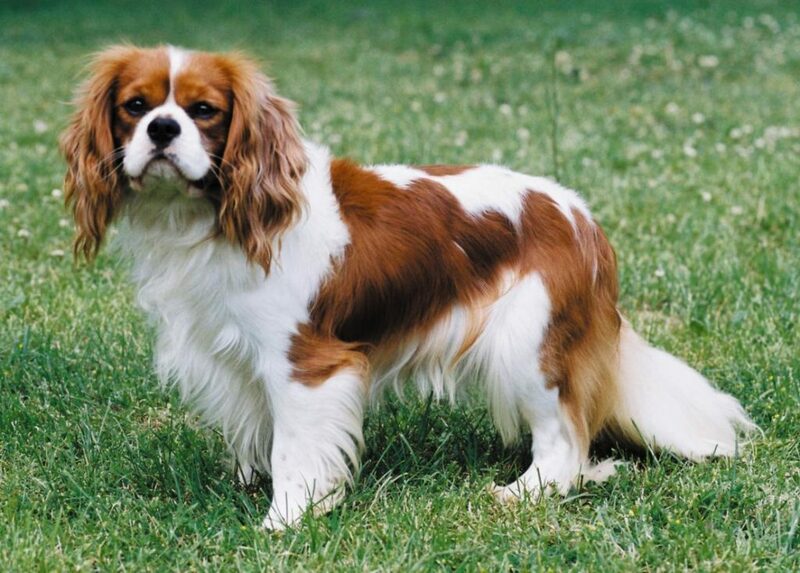 The Cavalier King Charles Spaniels are actually one of the most popular breeds around the world. There is a reason why they are classified as ‘toy dogs’, they are, unrealistically soft and cute as a stuffed puppy. They are considered to be very affectionate, patient and very eager to satisfy and please their owners. One of their advantages is that they adjust easily to their surrounding, making them highly suitable for children. Oh, and they will also adapt in terms of their need to exercise, which is good news to all you lazy dog owners. Just look at these furry squashed faces! 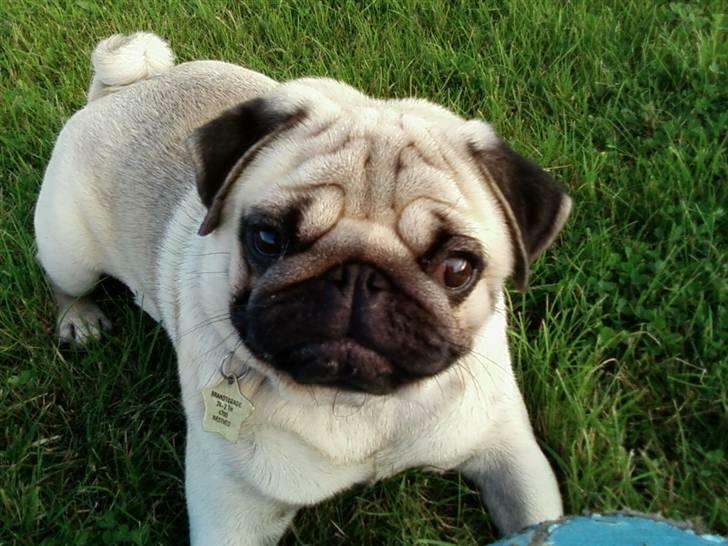 Pugs prove that love at first sight has nothing to do with looks, because these wrinkly dogs who are originated in China are nothing but charming, sociable and bubbly. They do tend to have some mood swings though, however they all depend on their owner’s mood and temperament. They are very suitable for families with children who are looking for a fairly small-sized dog. Don’t let their enormity confuse you, because this Scooby-Doo breed is nothing but friendly, kind hearted and gentle. 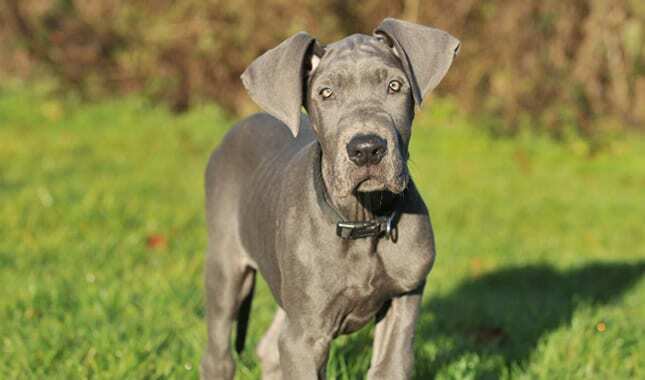 In fact, Great Danes are frequently referred to as a ‘gentle giant’. Think of it this way, the bigger they are, the more love they have to give. The funny thing is that they may not be aware of their giant measures because they often seek physical affection from their owners. Now these dogs are a bit on the tricky side, because as intelligent as they may, in fact as intelligent as a dog ca get, this breed is one challenging furry friend to live with. These working farm dogs need to a lot, and we mean A LOT of physical as well as mental stimulation. So be very aware when you consider owning a Border Collie, because they might be your best loyal but exhausting four-legged friends. It seems like these Sennehund dogs who originally come form the Swiss Alps, have both the beauty and the brains. 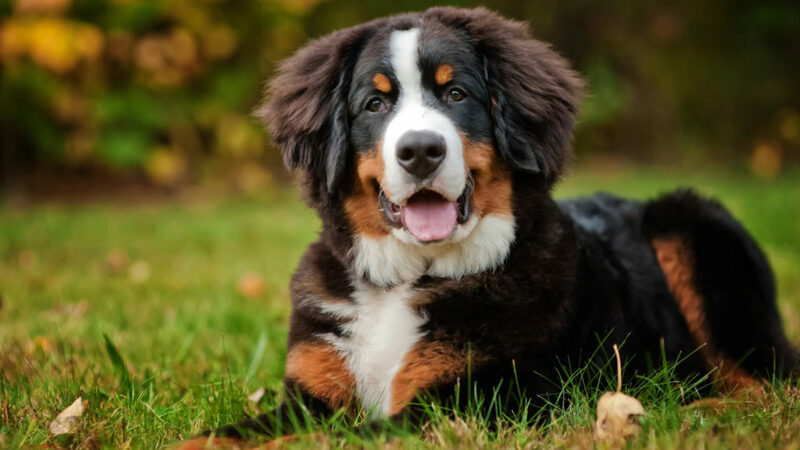 This mountain dog are considered amazing human companions as they are not only affectionate and sweet, but also have a very easy-going nature. They do however, have a lot of energy and they will be more suitable for a home with a garden rather than a small apartment. Vizslas are the definition of just a simply good and loyal dog. This dog breed which originated in Hungary, might seem snobbish at first, but they are actually extremely well-mannered, caring and affectionate. 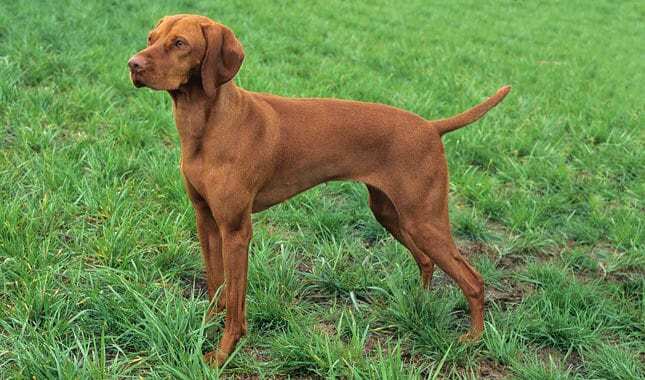 If you are looking for a dog that will quickly bond with you and your family, then Vizslas are your dogs. They can be excellent guard dogs and you will definitely be able to tell when they are unhappy, because they will whine and not hide their emotions. Dog de Bordeaux, besides being the cutest puppies we’ve ever seen, are one of the most massive dogs and powerfully built breeds out there. Don’t be fooled by their enormity, because these puppies are some of the kindest, most patient and surprisingly calm dogs in the world. The only sad thing is that you won’t get to enjoy their company for many years as they have a relatively short life span of 5-8 years. These fluff balls might be small-sized but they actually have a big personality. They are cheerful, athletic, smart, very expressive, patient, strong willed, and most importantly, they don’t shed! These pooches are all around people’s dogs. They love to cuddle up and socialize every chance they get. 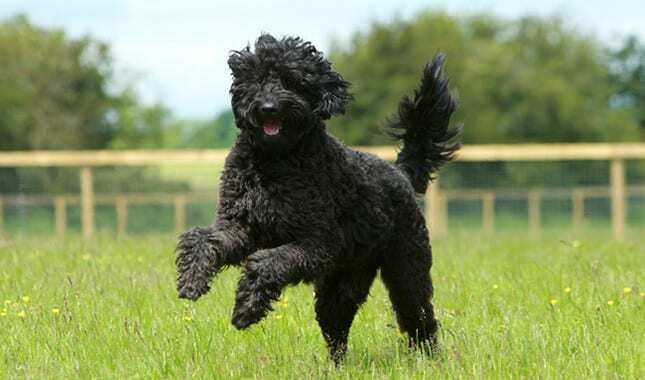 By the name of this breed you can probably already guess that it’s a hybrid of a Labrador and a Poodle. Originated in the Land Down Under, these hypoallergenic guide dogs are great with families and especially with children and are known to be friendly but also very energetic. They are highly intelligent and affectionate and are also very easily trained. This is a breed that seeks affection and adoration from its owner and you know what? That’s not a bad thing at all! Belgian Tervurens are impulsive and at times, overly-excited but it’s only because they have their owner’s best interest at heart – 24/7. Tervurens are the opposite of shy and are great for adventures. They almost make it seem as if the perfect companion isn’t so hard to find after all.